The cleaning up of the driftwood is progressing slowly, there are some lovely colours which will be brought out when I reach the waxing stage. 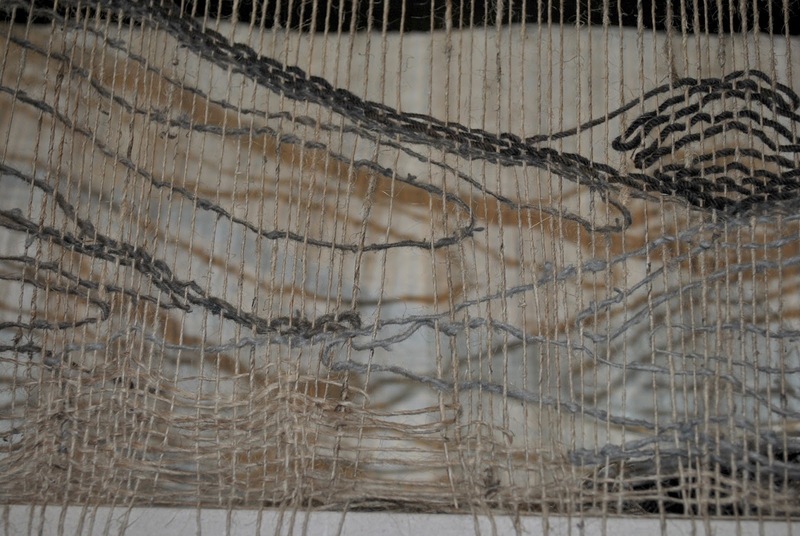 The beginning of my weaving for The Quilt Show at the NEC next year where I am taking part in a joint exhibition. 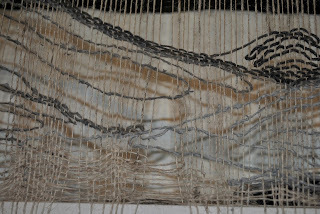 The piece uses nettle and plant dyed british wool yarn. Certain similarities in shaping to the driftwood perhaps.